"Whew, I must admit - THIS is embarassing. What the HELL was I thinking? My future wife Burgundie took this picture. I remember everything as just being fun. I made my first album! I was so proud of it. I cut the letters out from old Columbia Records tapes I had. And then made color copies. I did all 52 of them by hand. Xeroxed all the words to every song, and hand wrote all the liner notes. Thus describes my senior year study halls. 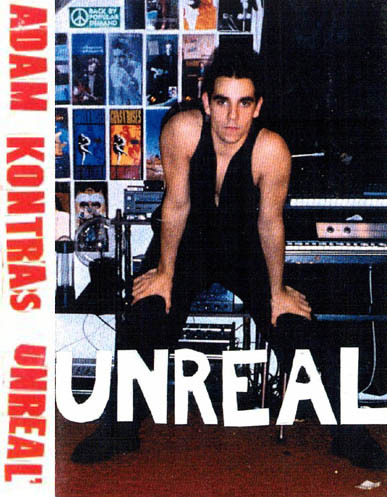 The music was basically the first 10 songs I ever recorded. From August of 1992 until April of 1994. When my father had time to help me, we would throw tracks down. All of these songs are priceless to me. I hear so much struggle in them. Be it struggling with my father to let me create the way I want...to simply struggling to find my style. Every dream has to start somewhere. This wasn't too bad." 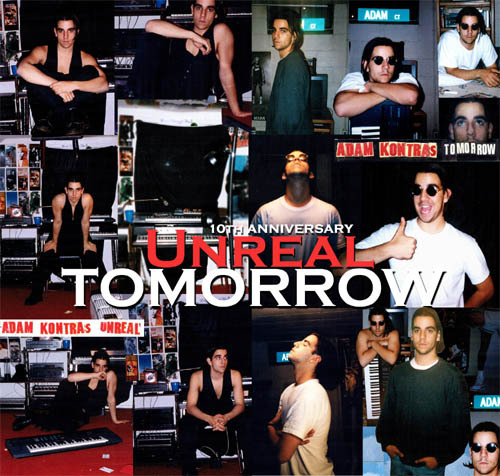 Although the cassette was only released in Limited Edition quantities, you can buy the remastered CD Unreal Tomorrow that includes this entire cassette along with Adam's next effort: Tomorrow.